Belize Offshore Company Formation. ISOG Belize Lawyer and Belize Attorney at Law Can Help You With Belize Offshore Company Incorporation. 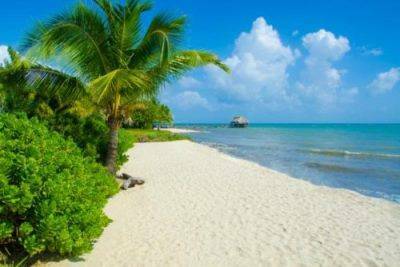 Belize is located at the northeastern end of Central America, south east of Mexico. There is an estimated population of 300,000. The official language is English and Spanish and its currency is the Belize dollar. The primary industries are Agriculture, tourism and offshore industry also benefits from a number of preferential market access arrangements. This country is currently a member of Commonwealth, The United Nations, The Organization of American States and The Association of Caribbean States. The government of Belize is operated on the principles of parliamentary democracy based on the Westminster System similar to England and contract and commercial law is based on the English law model. Belize offshore companies can carry out the same types of business as onshore companies and the liability of its shareholders is generally limited to the amount of capital they have invested into the company. Belize offshore company incorporation and Belize offshore company formation are quite simple, as well as its management and administration, but it requires some planning. In fact, a company does not need to be administered in the country of its incorporation. What you need to think about is the objectives you want to achieve by setting up a Belize offshore company: Do you need confidentiality? ; Do you need to operate freely in European countries? ; Do you need to operate in countries which have a double taxation agreement in place? ; or Do you need to protect your company assets from confiscation or expropriation orders or similar actions by foreign governments? In all these cases, ISOG Belize lawyer and Belize attorney at law can help you with Belize offshore company incorporation.